This isn't an acetate. In fact, it's not real. But it's a cool item. 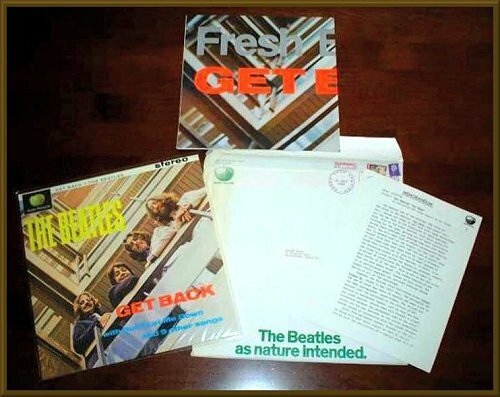 It is alleged to be a promo package for Glyn Johns' first "Get Back " album that was sent to industry insiders. It was probably issued by The Standing Pig Records. If this were authentic, it would be better described as a promo or a test pressing. These are occasionally auctioned and generally fetch good bids. An example of an auction description is seen below. Click the thumbs below to see the various parts of the package. 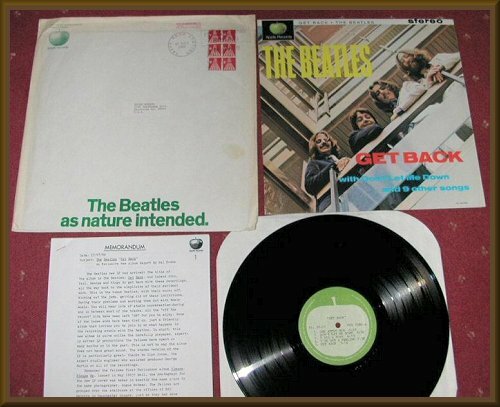 INCREDIBLY RARE BEATLES DEMO ' GET BACK' ALBUM. VERY FEW COPIES OF THIS ALBUM EXIST SINCE APPLE DECIDED AGAINST RELEASING IT AND WENT WITH 'LET IT BE' INSTEAD. THIS ALBUM PACKAGE HAS BEEN PRIVATELY OWNED FOR 20 YEARS AND VINYL, SLEEVE & MEMO ARE IN NEAR MINT CONDITION - MAILER IS IN EXCELLENT+ CONDITION. 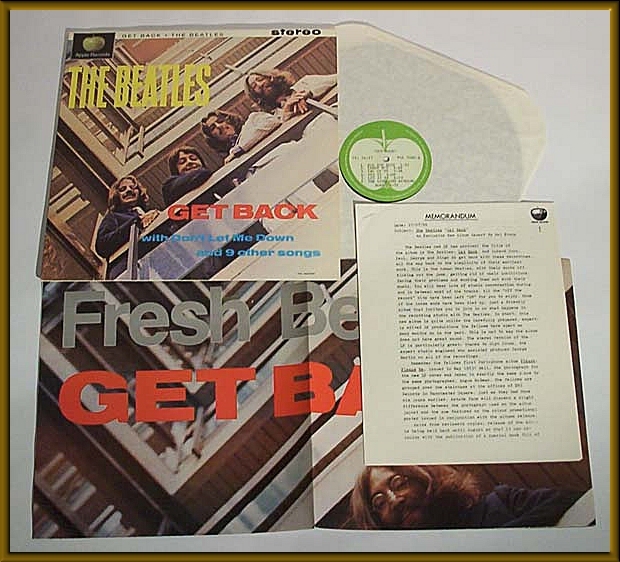 WHAT SETS THIS APART IS THE INCLUSION OF AN EMI POSTER (FOLDED TO ALBUM SIZE) AN EXCLUSIVE 'NEW ALBUM REPORT' DATED 17th JULY 1969 ON APPLE HEADED PAPER BY MAL EVANS AND AN APPLE CUSTOM TYPED LABEL ON THE RECORD ITSELF.